Raven feedhorn for the Raven offset dish. RAVFEED. 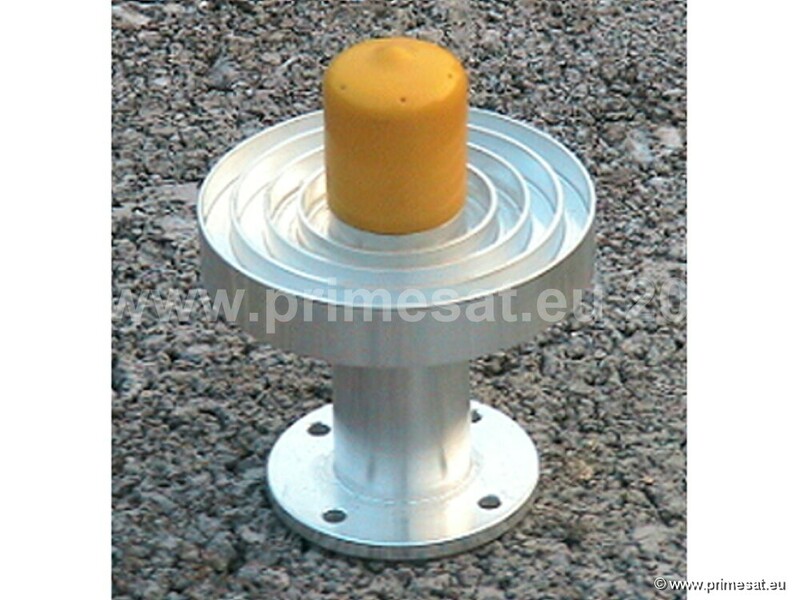 Invacom feedhorn with yellow cap for prime focus dishes. INVFEED. The Invacom feed normally comes from Invacom with no cap or cover and so the spiders can get in and lay their nests.The result is that they block the signal. We fit a yellow cap on the end. This is better than a flat coveras flat covers can be burnt through by the sun. Using a cap rather than a cover means that it is not at thefocal point and is much less likely to be burnt by the sun. This cap is included with all Invacom feedhornsand is exclusive to the Satellite Superstore. 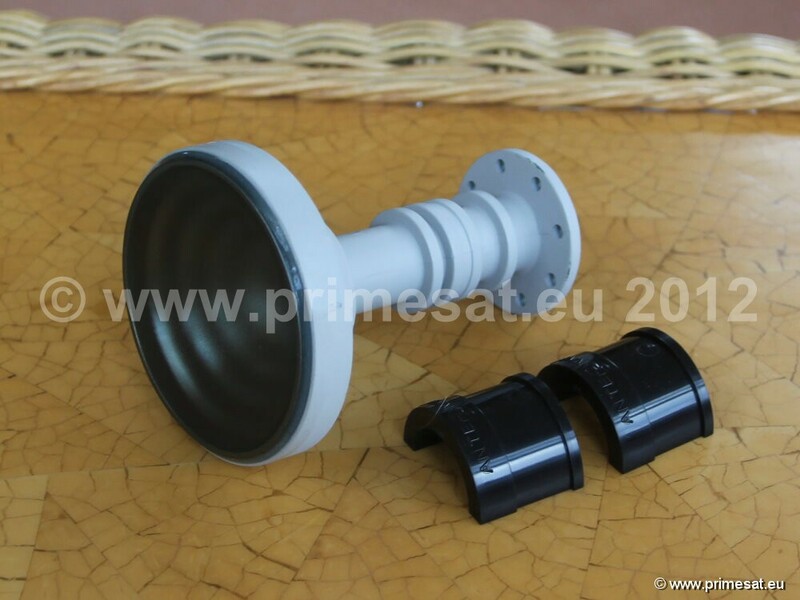 The Invacom feedhorn has a 23mm neck and a C120 flange It is made ofaluminium and has scalar rings. 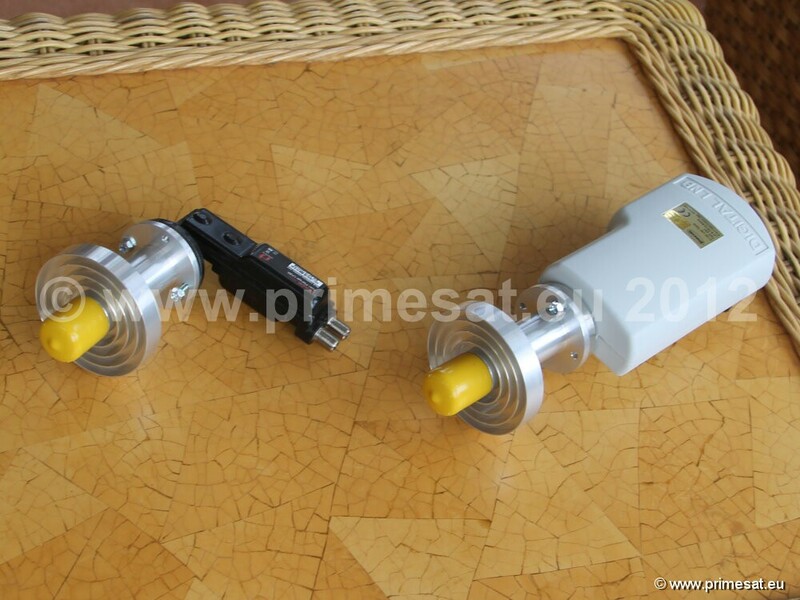 It is designed for prime focus dishes. The rings are adjustable on a screw threadPlease note that these important yellow caps are not available separately. Only with the feedhorn.Adjustable F/D 0.32-0.43. You can adjust the rings on the treads to set the F/D to suit your dish.See middle and right hand pictures below. Shown are different amounts of tread above the rings.When the feedhorn is taken out of the box from the manufacturer, the rings are assembled thewrong way round. (See left hand picture above). When unscrewing and turning over the rings and fitting correctlyit is VERY EASY for the aluminium threads to lock. If they lock they then strip when forced off.We pre-assemble the rings the correct way round, coating the threads with petroleum jelly so that they cannot lock.